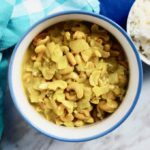 Rabu curry is a traditional white radish and onion coconut curry recipe from Sri Lanka, a tiny island nation off the southeast coast of India. 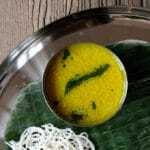 This simple but flavorful recipe includes a mixture of vegetables and spices such as curry leaves, mustard seed, and fenugreek that is simmered and softened in coconut milk. Sri Lankan curries are often served with a side of white rice and are accompanied by many side dishes, including appam, idiyappam, and kiri hodi. Curries are a common dish in Sri Lanka and are most commonly made from coconut, as the coconut is used in a large proportion of Sri Lankan food and drinks due to the island’s location in the tropics of the Indian Ocean. 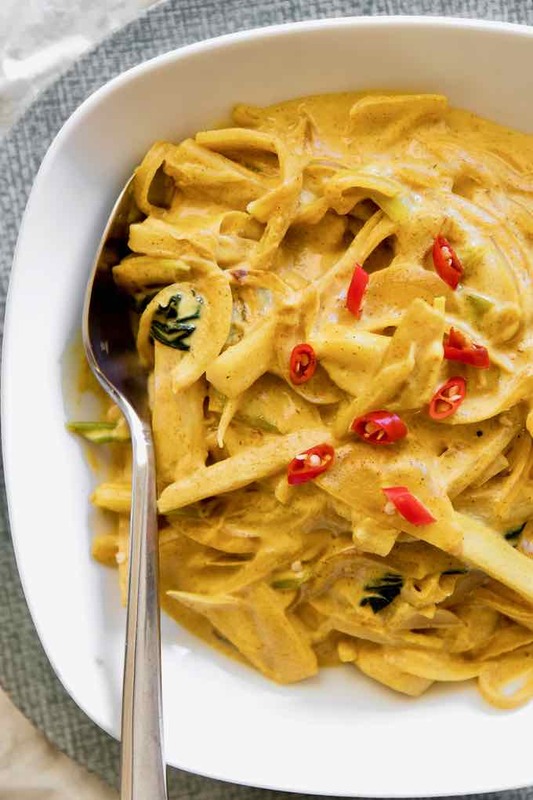 Most curries consist of a fragrant (and most times very spicy!) coconut broth filled with herbs and spices such as curry leaves, tamarind, cinnamon, fenugreek, mustard powder, and hot chili peppers. Chili peppers are used in most Sri Lankan dishes, but are not indigenous to the “Pearl of the Indian Ocean”. They were introduced to Sri Lanka from Central and South America during British colonial rule but soon were planted and now the island boasts over 60 different types of chili peppers. Be prepared to sweat when eating Sri Lankan cuisine! 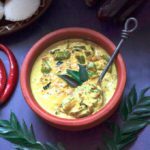 Sri Lankan curries are very similar to the curries of Southern India due to their proximity, but are in a class of their own due to Sri Lanka’s tropical location and almost exclusive use of curry as a base. Most curries from Sri Lanka are filled with tropical fruits and vegetables like coconut, palm fruit, and mango, but vegetables like radish, eggplant, and pumpkin are also popular (a throwback to British colonial rule). 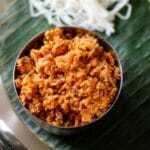 Sri Lankan cuisine is heavy on rice and vegetables, and meat and fish are used as accompaniments. Sri Lankan curries are no different. Common Sri Lankan meat curries include chicken, beef, goat, and lamb and seafood includes crab, shrimp, and fin fish. 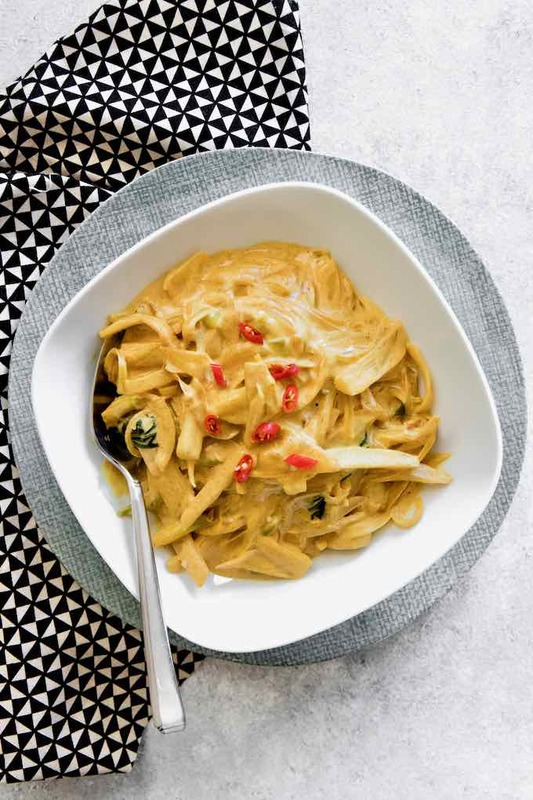 However, vegetable-based dishes remain a staple in Sri Lanka due to the high cost of meat and delicious vegetable dishes like rabu curry were created when meat and seafood were not available. Rabu curry is a simple vegetable curry dish made from fresh white radish, onion, and hot peppers and cooked in a simple coconut curry made from mustard, fenugreek, turmeric, and cinnamon. Other common Sri Lankan curries include hath maathluwa (seven vegetables curry), brinjal curry (eggplant curry) or bandakka curry (okra curry). 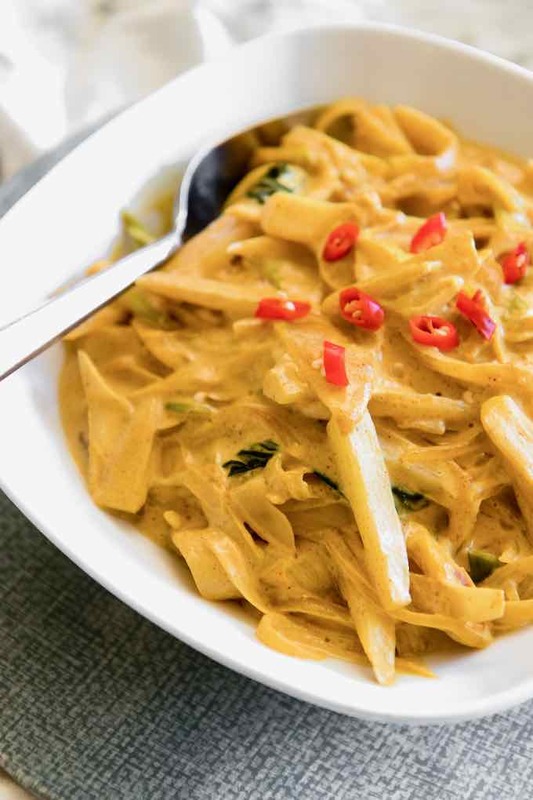 Rabu curry is a common dish throughout Sri Lankan homes and it is most often served in the winter months when white radish, a root vegetable, is harvested and other summer vegetables are not available. The curry is most often served with white rice, which is found at every Sri Lankan meal as the island cultivates over 50 different varieties of rice. We hope you enjoy this white radish (rabu) curry from Sri Lanka. 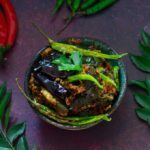 Let us know by commenting below your thoughts on the recipe and your experiences cooking Sri Lankan cuisine. 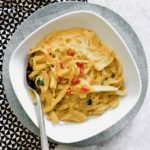 Interested in other recipes from Sri Lanka? Try out the baabath curry, the elumas curry, or rice with a side of lunu miris – and don’t forget to try love cake for dessert! Rabu curry is a traditional white radish and onion coconut curry recipe from Sri Lanka. 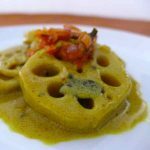 It is prepared with a mixture of vegetables and spices such as curry leaves, mustard seed, and fenugreek that is simmered and softened in coconut milk. In a Dutch oven, heat the oil over medium heat. Add the onion, hot peppers, curry leaves and fry for 5 minutes, stirring regularly. Add the radish and mix. Cook for about 5 minutes. Finally add the coconut milk and mix. Simmer on low/medium heat for 5 minutes.